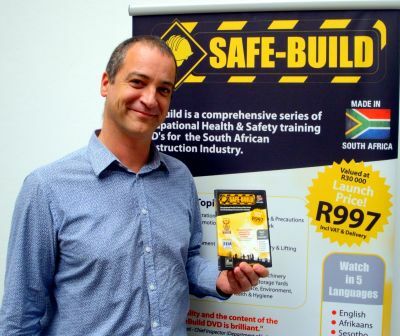 Producing the Safe-Build DVD series was a project that the Association put a lot of time, money and effort into, resulting in an end-product that we are all extremely proud of. Although we do believe we have a fantastic product, seeing how well it has been received by OHS fraternity is extremely encouraging. The following is the latest of several testimonials to have come through. I had purchased 2 copies of the above DVD’s at NOSHCON 2010. I was sceptical at first as having being involved in SHE for the past 23 years I am very well aware of all the substandard safety products out there. Firstly the price was very low for the 20 topic DVD set which added to my scepticism. However, after watching the DVDs I was pleasantly surprised. All topics are covered comprehensively. The essential safety messages are clearly and succulently provided. The real value for my organization in these DVD’s is the language change options. To date I have not seen a safety communication product of such high quality that is so reasonably priced. In my professional opinion the DVD’s are of an excellent standard and would be an investment for any Company that is serious about safety and values it’s greatest assets i.e. its people.